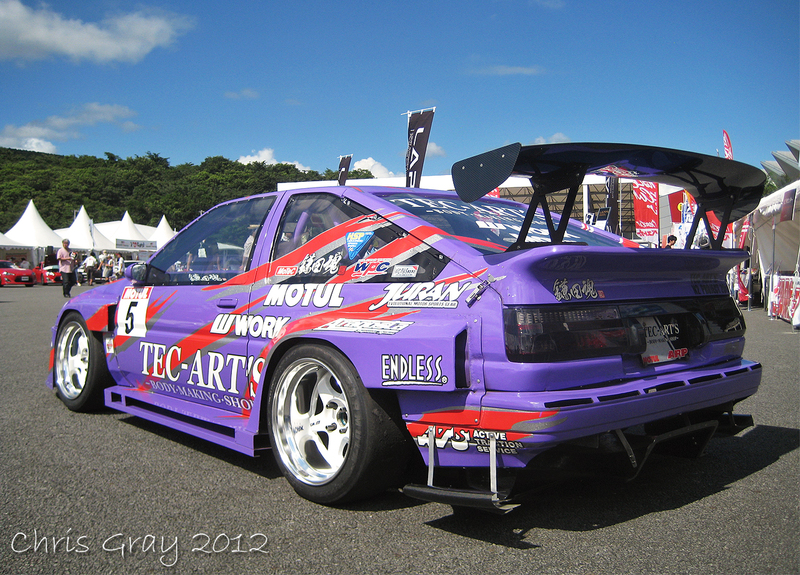 It doesn't get much more Exteme than this...One of the World's Best! 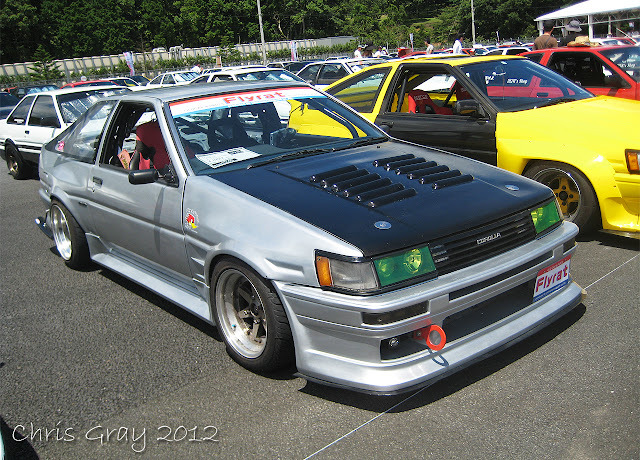 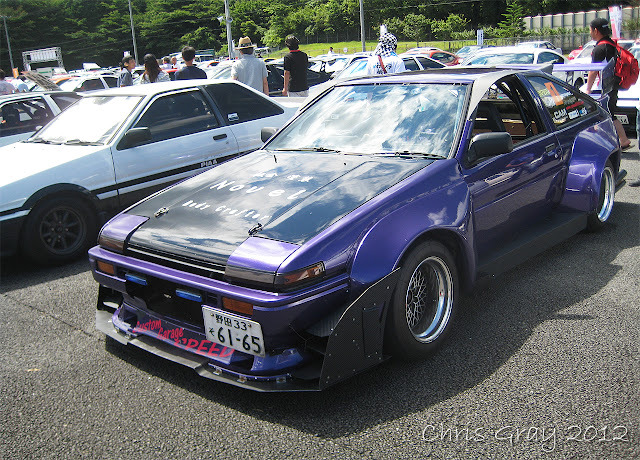 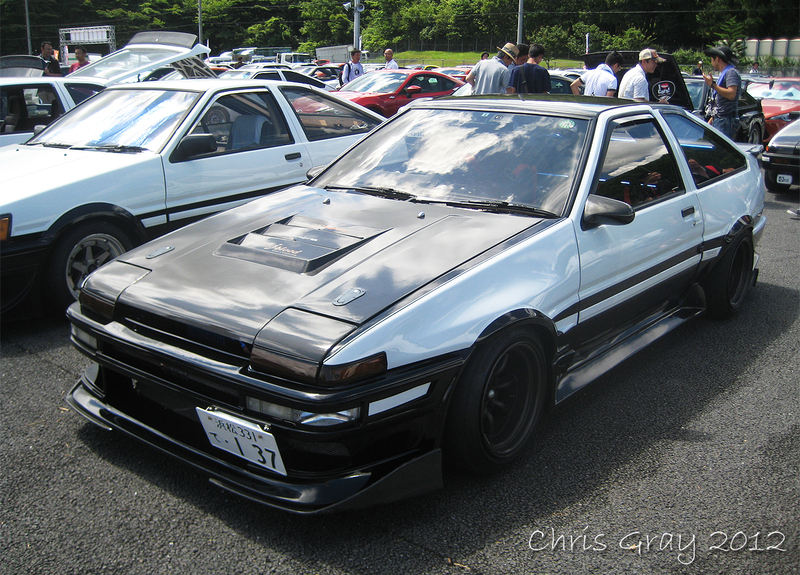 This Trueno has also became 'Famous' via the Internet...VERY clean custom build! I REALLY loved the styling of this car! 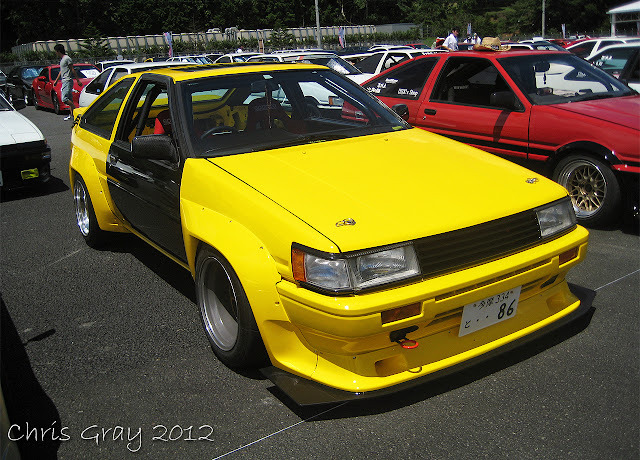 CBY & Custom Aero, Watanabe Rims, Race Interior! 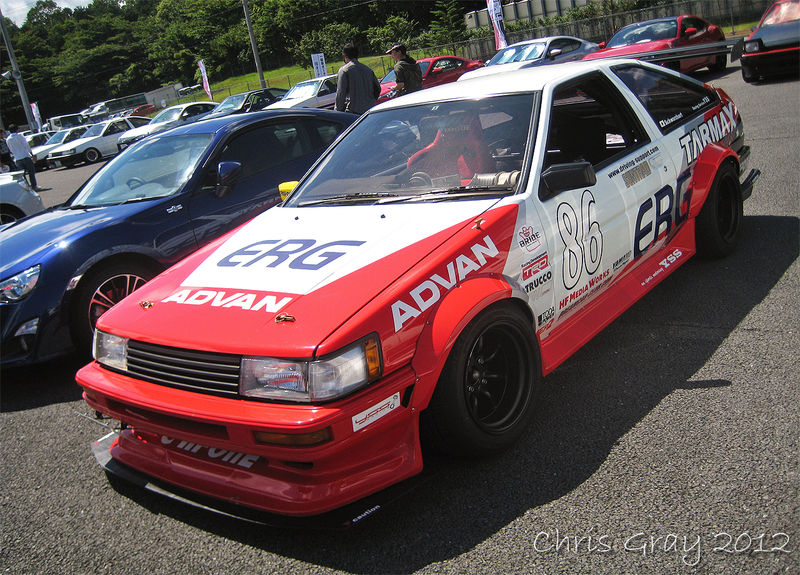 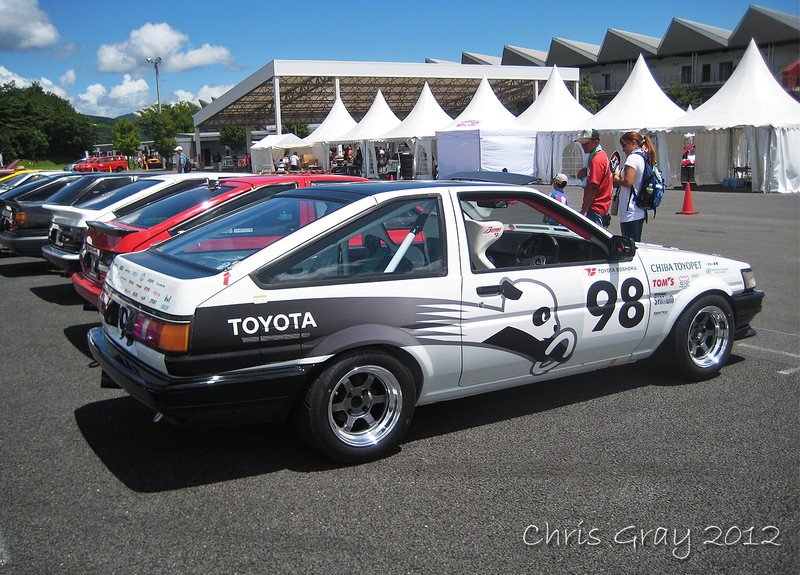 Another VERY well known AE86 Race Car... Garage Annex! STUNNING! 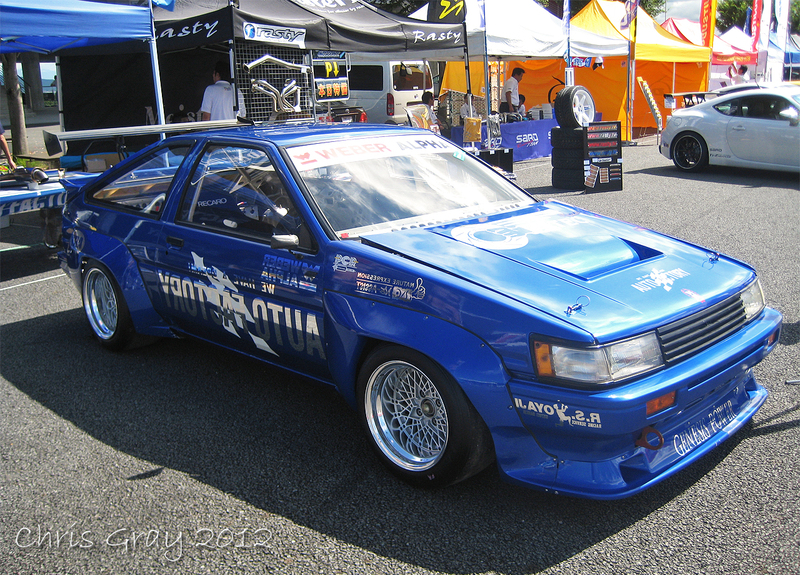 Auto Factory brought out their N2 AE86, this car is a seriously clean build! 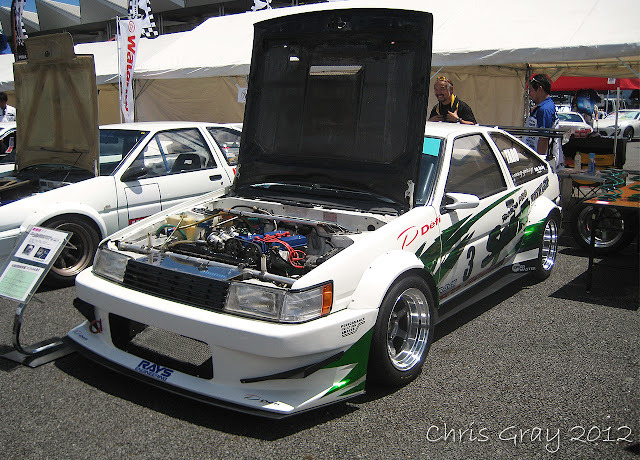 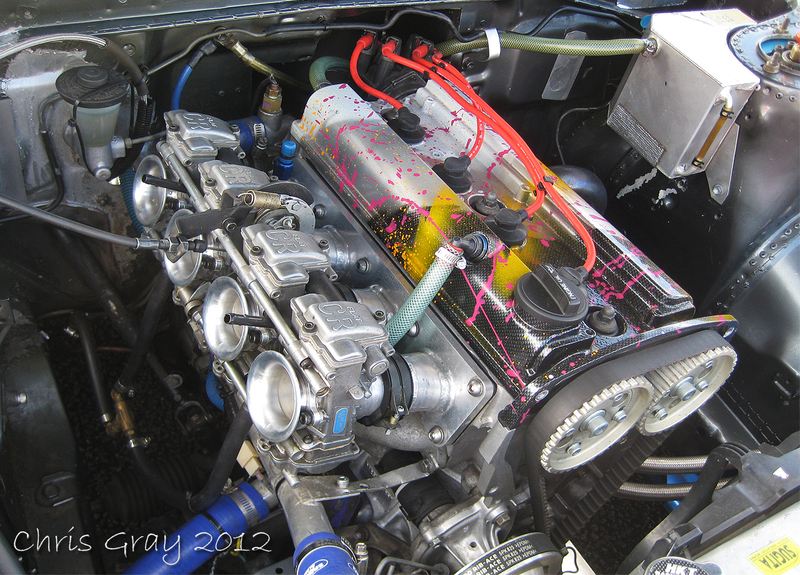 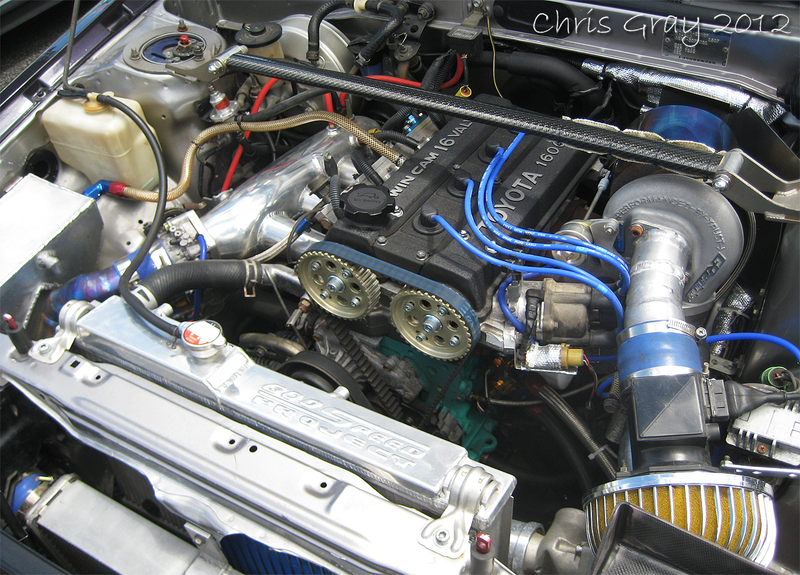 Running a 4AGE 20v on FCR Carbs...This is another favourite AE86 of mine! 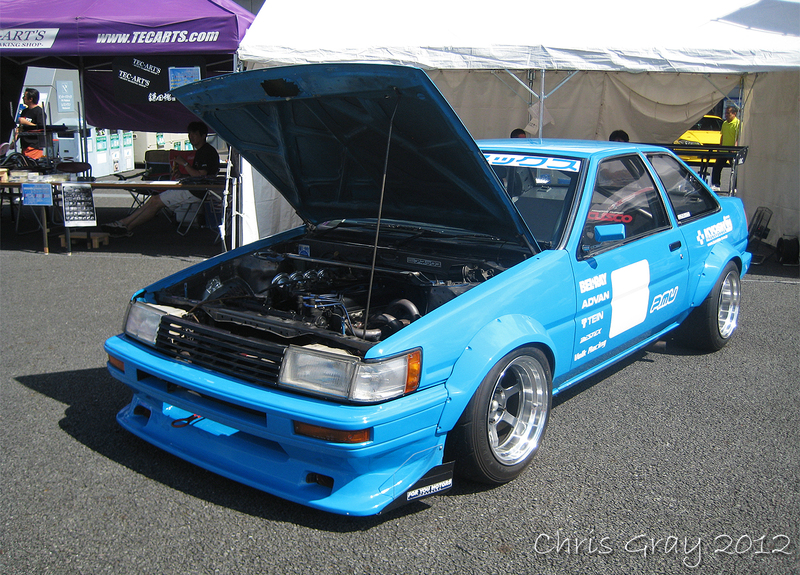 One of the cleanest, fresh builds on the day was by Chiba Toyopet! 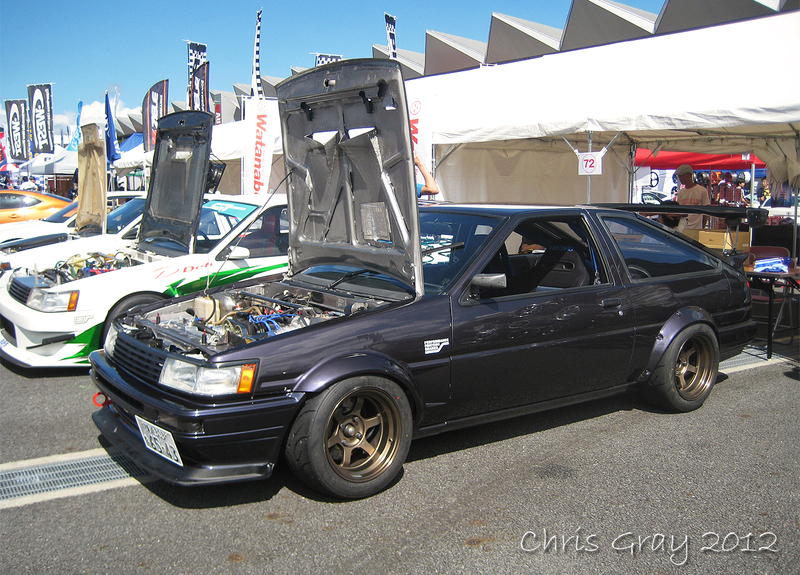 Next to that was a Legendary AE86 to all of us...Kamakura-San of Techno Pro Spirit! 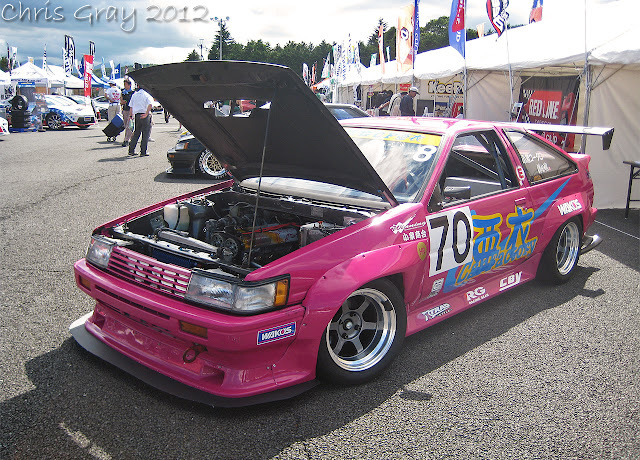 I had a GREAT chat for quite a while with Kamakura-San, he is such a genuine and nice person, who takes the time to get know people and make new friends. 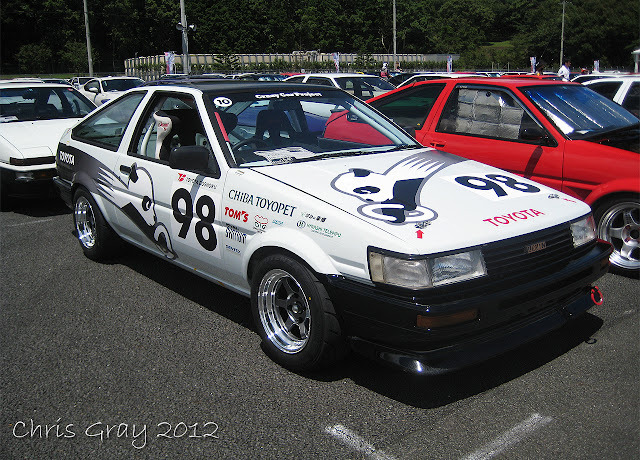 He's very humble about his achievements and offered some great AE86 advice. I will be visiting the Shop in the near future, so expect to see alot more of Techno Pro Spirit here! 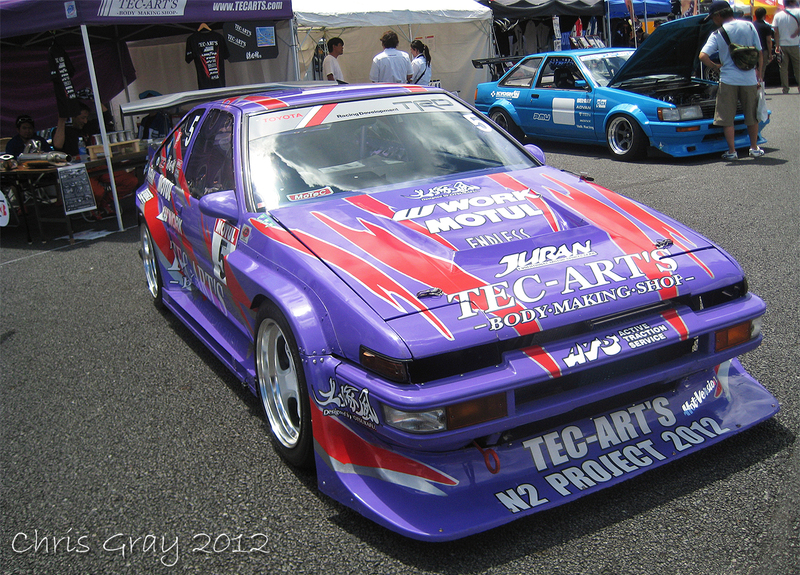 I spent half of my time at the show relaxing and talking with him, and indeed have made a very good friend! 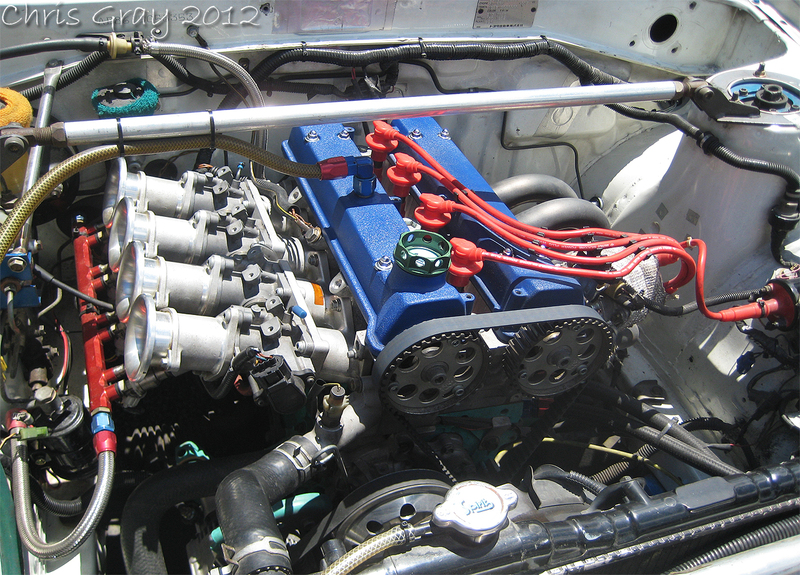 Last, but not least...I loved this build! 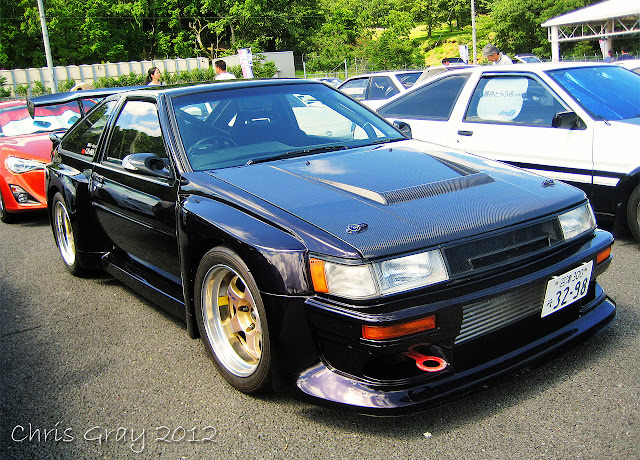 Wide-Body, Carbon, Work Wheels! So Clean & Tidy!